During the Cold War, there were two major battles for power occurring. The most notable was a battle of hard power, comprised of conventional forces and rising nuclear forces between the United States and the Soviet Union. The other was a competition of soft power, including the battle for ideology, norms and influence between liberal and communist values. In the post-Cold War era, the West has sought to further expand its norms and influence throughout the international system through a variety of measures including soft power. Examples of these soft power elements range from liberal ideals such as freedom of press and speech to Western culture. These ideals and norms are spread in effect through Western media, the entertainment industry and U.S. foreign policy, to name a few. The United States is not alone in these efforts. To a certain extent Russia has also sought to further expand its ideology and influence outside of its borders through the use of soft power. Examples of these efforts include organizations like the Russian World Foundation and Rossotrudnichestvo, which promote Russian language and culture abroad and media efforts like Russia Today (RT), which according to the website, broadcasts in over 100 countries. But over the past few years, the discussion of soft power has notably increased. One reason for the increased discussion around soft power, as Russia argues, is the decline of Western norms and influence globally. As Putin noted in his 2007 Munich speech, “the United States, has overstepped its national borders in every way. This is visible in the economic, political, cultural and educational policies it imposes on other nations.” As the appeal of American values decreases, which is true to some extent, its ability to conduct soft power decreases as a result. Another reason for the heightened discussion is the crisis in Ukraine and Russia’s actions as a result. Since 2014, there has been an increased shift in Russia’s efforts to create an alternative message to Western norms and practices. Russia’s ability to produce these messages at a rapid rate in comparison to the United States has led some to believe that Russia has begun to develop a unique and profound soft power strategy. Another reason is the lack of adaption in Russia to the modern era. As the concept of power has evolved over time, so has the conception of effective soft power. 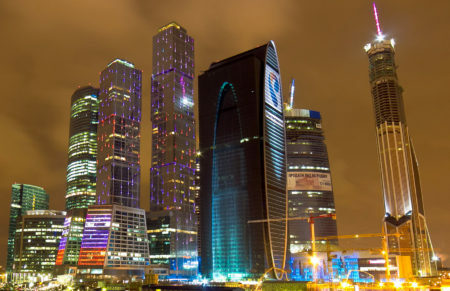 As author Bobo Lo notes in his recent book, Russian and the New World Disorder, “Economic strength and technological capacity underpin the growing ascendancy of soft power. The most influential powers in today’s world are those whose strengths lie principally in this area.” The ability to project power and influence is incumbent in developing these realms. In today’s Russia however, the country is currently dealing with a severely weakened economy, massive currency inflation, a flight of foreign investment and a lacking innovative society for technological development. In order for Russia to develop a compatible soft power strategy as General Gerasimov has called for, the country will have to further develop and modernize these areas. The lack of a suitable soft power capability has only been exacerbated by the crisis in Ukraine. Effectively transforming a pro-Russian Ukraine into an anti-Russian state, Russia’s actions in Ukraine have further diminished Russia’s image not only in the West but also in its near abroad. Even countries such as Belarus, which has served as one of Russia’s few supporters over the past two decades, is looking to better balance itself between the East and the West. As with many of Russia’s neighbors, “Russia’s aggression has alarmed Lukashenko, one of Russian President Vladimir Putin’s closest allies, [whom] doesn’t want to become a second Viktor Yanukovych.” Many of Russia’s neighbors are alarmed by Russia’s actions in Ukraine, because they view this action as an indicator of Russia’s stance against their countries’ independence and sovereignty. However, the call for the creation of a soft power strategy may seek to decrease these suspicions and improve Russia’s relations with its near abroad. As stated previously, Russia traditionally relies on hard power, such as a large military, to maintain its security and project power and influence. This tends to be the case both in its backyard as the situation in Ukraine has demonstrated, as well as globally with its military efforts in Syria. In light of the recent speech by General Gerasimov and the support it received at the Russian Academy of Military Science, Russia may develop a soft power strategy that addresses some of the identified deficiencies. With Russia’s image and partnerships damaged globally, an effective soft power strategy may be an increasingly beneficial tool for Putin and the federal government. But as with the current soft power policy, it is important to understand its intended goals. In discussing the need for a soft power strategy, General Gerasimov highlighted its importance in the context countering threats against Russia, noting that, “Since ‘color revolutions,’ [which] the Ministry of Defense in fact deems state coups, are one form of hybrid warfare, responding to them using conventional troops is impossible.” It would appear that the underlying goal is not to improve Russia’s appeal or relations abroad but to improve its ability to defend against modern conflicts such as color revolutions. Though the ends may be the same, highlighting the need to integrate, “diplomatic and other nonmilitary methods of interaction with other states,” it is interesting to see how in the case of Russia, the government is framing soft power in the context of a defensive tool. Still too early to tell, it will be fascinating to see whether Russia’s soft power strategy operates similar to the West or if it acts as a defensive tool against what Russia deems as exterior threats. Though only one of a variety of tools available to a state, soft power can be an effective means for advancing the values and influence of a country. As the image and appeal of Russia has diminished not only in the West but also in its near abroad, calls for a soft power strategy could prove to be a beneficial move for the Russian Federation. The ends, ways and means in which this policy will play out however, remains to be seen. Bobo Lo, Russia and the New World Disorder (Washington: Brookings, 2015), 56-57. Ryan Bauer is an analyst at CNA and a graduate student at Georgetown University in the Security Studies Program.